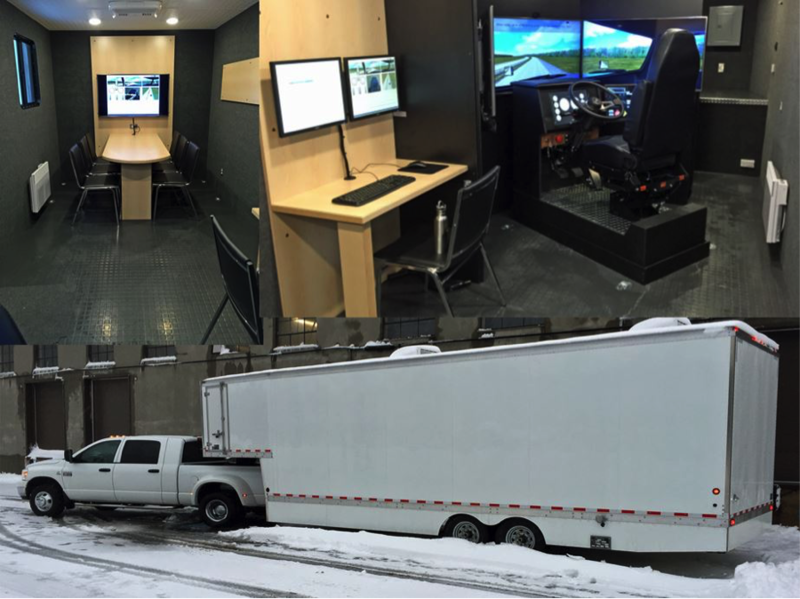 Montreal, January 15, 2015 - Virage Simulation delivers a Mobile Training Laboratory to the Alberta Motor Transport Association. Virage Simulation Inc., a Canadian leader in car and truck driving simulator systems, services and turnkey-training solutions, delivered two VS600M truck driving simulators to the Alberta Motor Transport Association (AMTA). The Alberta Motor Transport Association is an Alberta, not-for-profit Association representing the highway transportation industry at the provincial and national levels and dedicated to provide training programs and promoting safety initiatives that reduce workplace injuries and help their members succeed. A custom-built 32-foot mobile training laboratory in which the latest generation of the VS600M truck driving simulator was installed will provide AMTA the ability to train their members on location. 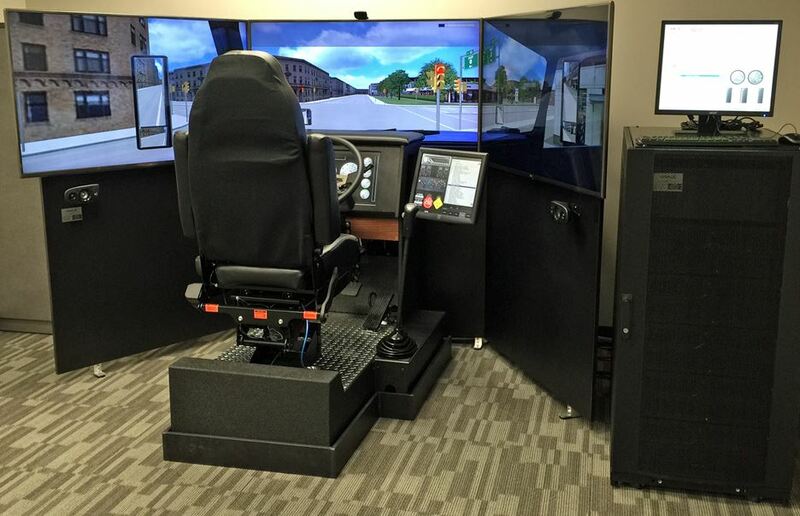 The second truck driving simulator system is installed in the AMTA Edmonton office. Virage Simulation VS600M truck driving simulator located at the Edmonton office.